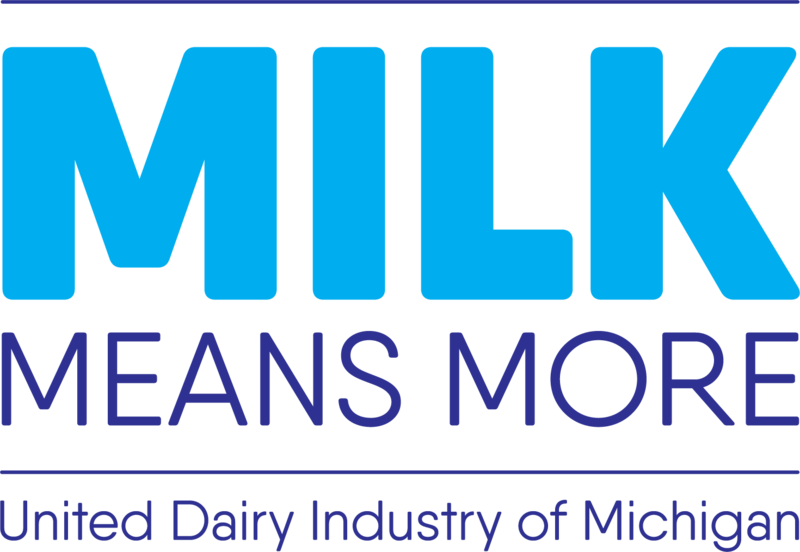 Credit to this blog post belongs to Team Dairy New England, where the original post can be found here. As we come closer to the holiday season, the endless offerings of holiday cookies, appetizers, and meals can take its toll on your healthful eating efforts. So how can you and your family indulge without feeling like you did? In this blog post, you’ll learn three ingredient swaps that will lighten the load of your favorite holiday recipes. Since Greek yogurt is strained to remove extra water, its thicker texture is great for cooking and baking. The straining also increases a recipe’s protein and decreases its sugar levels. The more protein, the fuller you’ll feel, which may lead you to eat less. For instance, A Dish of Daily Life’s Michelle Nahom subbed Greek yogurt for oil in her pumpkin bread recipe and Healthy Seasonal Recipe’s Katie Webster reduced the mayonnaise and buttermilk in her creamy Italian salad dressing. 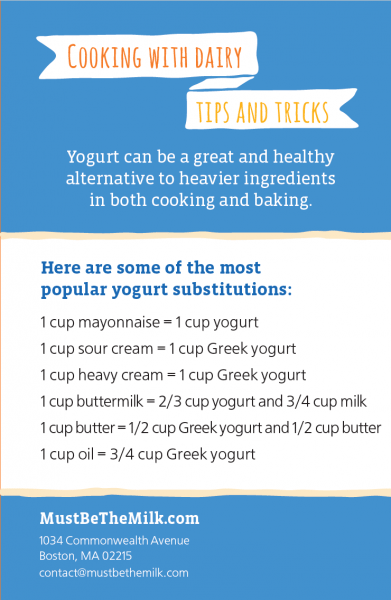 Check out Cabot Creamery’s Greek yogurt substitution guide for more swap suggestions. Regular yogurt is still a great protein choice, but it’s a little runnier compared to its Greek counterpart. Since regular yogurt thins better when whisked, it’s a great substitution for mayonnaise or buttermilk. 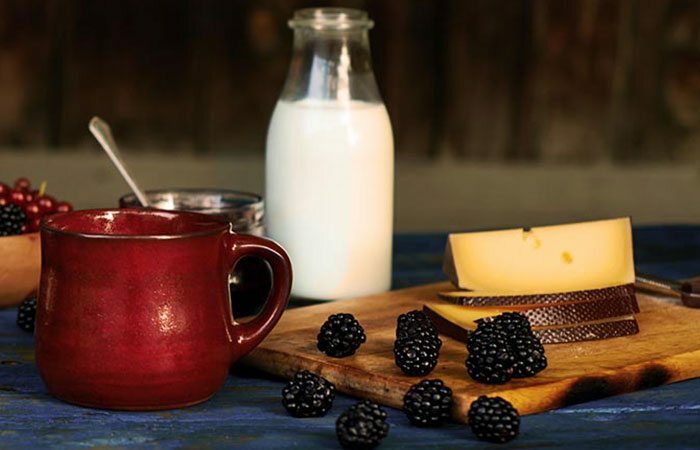 Taste this swap in action over a family breakfast with Smitten Kitchen’s blueberry yogurt multi-grain pancakes. Like the guide below? Click here for printable PDF. Compared to white sugar, unsweetened applesauce has nearly 90-percent less sugar! Applesauce’s natural sweetness makes for a moist baked good, and can be used to reduce either the sugar or fat in a recipe. The Foodie Dietitian’s Kara Lydon used applesauce to sweeten her upscale lemon raspberry breakfast cookies, while skinnytaste’s Gina Homolka reduced the fat in her kid-approved gingerbread men cookies. Click to view Musselman’s Natural Apple Sauce conversion table for baked goods. If you’re planning on making substitutions to a new recipe, start with small swaps. Changing out all of the oil or sugar in one recipe may not work well for another.